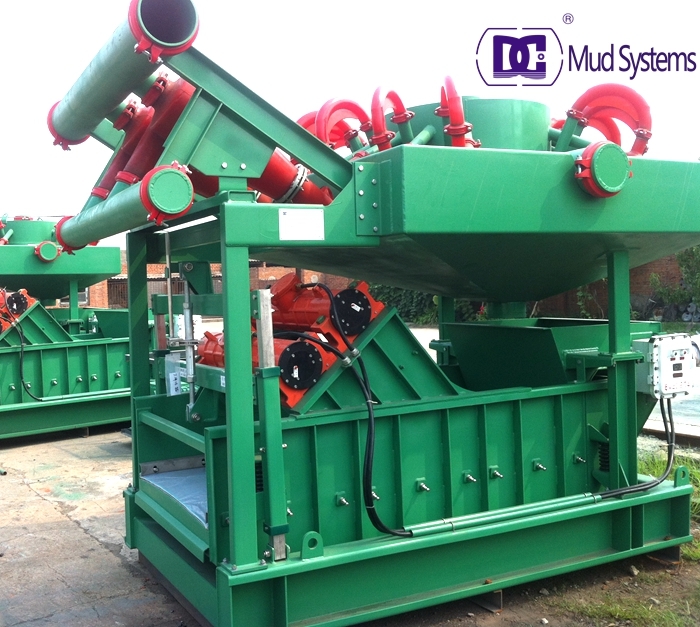 Mud Cleaner has the capability to process the entire drilling-fluid circulation volume, and remove drilled solids from weighted mud system; retaining expensive barite and liquids, and economically reducing hole problems associated with excessive drilled solids. Drilling fluid passes through a series of hydrocyclones – either desander or desilter units that separate the fine, line particles from the heavy,coarse particles. Barite passing through the screen and returning to the active system. Desander with 10 inch cones,or 8 inch cones,or 12 inch cones act as the second phase drilling mud cleaning equipment.We have customized number cones desander for clients. Desander cleaning mud usually between 47-76 microns. 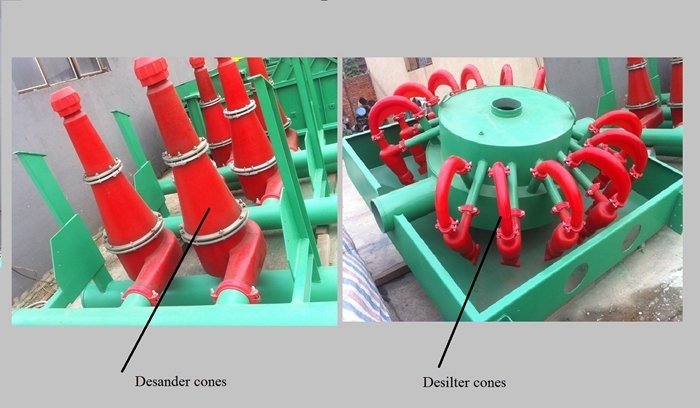 Desilter with 4 inch cones,or 5 inch cones,act as the third phase mud cleaning equipment.Which clean out particles 15-45 microns.Mud cleaner is a combination of desander & desilter and with underfluids bottom shale shaker,which act as both desander and desilter function. Mud cleaner mainmum footprint of the equipments,and has big capacity for mud cleaning and treatment.